A new daily siddur (prayer book) has just been published for Brazil's Jews by the Shavei Israel organization. Included in the “Ner Tamid” (“Eternal Flame”) siddur are the original Hebrew prayers with a phonetic translation into Portuguese. In addition, the siddur features a Portuguese-language translation to enhance comprehension by those who do not understand Hebrew. The latest siddur is the third in a series of prayer books produced by Shavei Israel. The others cover the prayers for Shabbat, Rosh Hashana and Yom Kippur. This newest siddur is intended for weekday prayers and can also be used for celebrations such as a bar or bat mitzvah, brit mila (circumcision) or wedding, as well as for the holidays of Chanukah and Purim. The "Ner Tamid" is intended for the Brazilian Jewish communities in Belem, Manaus and other towns in the northern part of the country, according to a report in the organization's newsletter. It will also be distributed to members of the community of Bnei Anousim – descendants of Jews in Spain and Portugal who were compelled to convert to Catholicism during the Inquisition. Many of those who converted subsequently fled to Brazil hundreds of years ago. The siddur reflects the customs and rites brought to Brazil in the 19th century CE by Jews from North Africa, particularly from Morocco, and handed down through the generations. 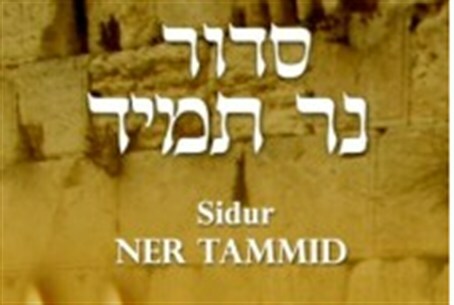 “Ner Tamid” was compiled by Rabbi Moses Elmescany, chief rabbi of the 1,500-member Jewish community of Belem and Shavei Israel's David Salgado, a trained chazan (cantor).